The last thing any of us wants to find out is that our recently purchased skin care product is about to leave our skin feeling itchy and red rather than healthy and restored. How can we prevent this from happening? We might consider this response to be somewhat annoying at the very least, but it’s our body’s natural way of defending against a threat and ensuring that we know not to come in contact with it ever again. So what should we do when we encounter a new product that may have ingredients we’re allergic to? The answer is, thankfully, very simple: the Spot Test. Fortunately for us, every Theraderm product has been tested thousands of times over the course of several years, so we can feel very confident about using these products without the risk of an allergic reaction. If, however, you do find yourself reacting to any product, especially one within a multi-step system such as the Theraderm Skin Renewal System, where it can be hard to determine which product is causing the reaction, Dr. Beckman recommends performing the Spot Test. 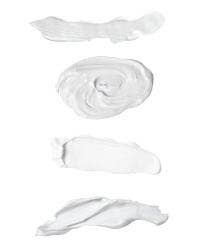 Once you determine the product, you can begin narrowing down the ingredients to see which one your skin is reacting to.